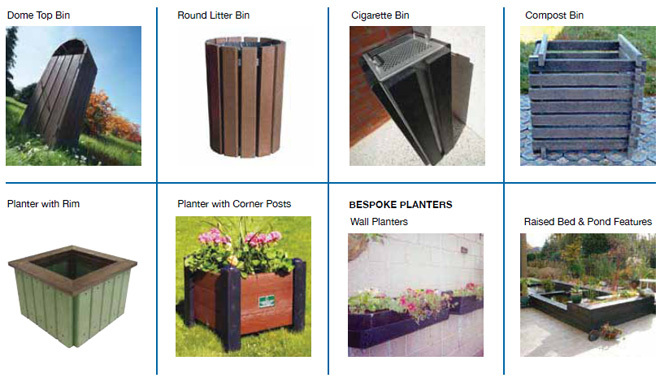 G&G Signs offer a range of award winning environmentally alternative bins and planters. The bins offer an attractive disposal method for waste, and with the planters they complement the rest of the recycled products range. The styles and colours available will enhance any park, garden, town centre, school and leisure or play area.